David Irvin Diehl, 92, of Sunnyside Road, Bedford, PA; passed away on Saturday, January 19, 2019 at home surrounded by family. He was born on October 9, 1926, Bedford, Pennsylvania; a son of the late W. Ed and Bertha H. (Lesh) Diehl. On February 24, 1954 in Winchester, Virginia; he was united in marriage to Marjorie L. (Foor) Diehl. She preceded him in death on November 24, 2013. He is survived by the following children Thomas A. Baughman, Altoona; David "Ed" Diehl married to Lisa (Emerick), Everett, PA; Michael E. Diehl married to Tammy (Cessna), Bedford, PA; Daniel I. Diehl married to Pat (Love), Columbus, OH; Steven J. Diehl, Duncansville, PA and Patricia Ann married to Chuck Imler, Fishertown, PA; eight grandchildren Julian, Jen, Christen, Luke, Joshua, Daniel, Kayla and Haylea; and thirteen great grandchildren with one expected in March. He was preceded in death by grandson David E. Diehl, Jr. and siblings Helen, Dorothy and John Robert "Bob" Diehl. 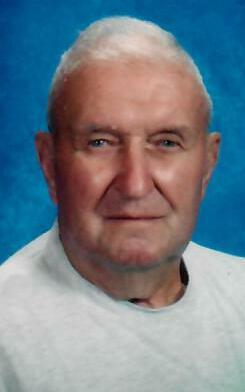 Mr. Diehl was a member of Pennwood Bible Church, Everett. David drove truck for Bedford Valley Petroleum and later driving school bus for Stahl Busing until his retirement. He served in the United States Army from 1944-1946. He was a member of the Ft. Bedford V.F.W. Post No. 7527. David enjoyed hunting, fishing, gardening, and especially spending time with his family. He was a hard worker that always provided for his family and instilled that trait in his children. The family would like to thank three special caregivers Denise Wolfhope, Patty "Mandy" McVicker and Doug Yoder. Friends and Family may call at the Akers Funeral Home, 299 Raystown Road, Everett on Friday, January 25, 2019 from 3-8 P.M. and on Saturday from 10:00 A.M. until the hour of service at the funeral home. Funeral Service will be held on Saturday, January 26, 2019 at 11:00 A.M. in the Chapel at Akers Funeral Home, Everett with Pastor Stephen Scruggs and Pastor Dana Umbel officiating. Burial will be held at Bedford Cemetery. If friends so desire memorial contributions may be made in memory of Mr. Diehl to the Bedford County Humane Society,182 Bohn Rd, Bedford, PA 15522 .